The Lambs Foundation, Inc. is recognized by the Internal Revenue Service as a 501(c)(3) charitable organization. Your contributions to the Foundation are tax deductible to the extent provided by law (please consult your own tax adviser). Your generosity will help us carry on a proud tradition. Some employers offer to match charitable donations, check with your employer to see if they offer such a benefit. The Foundation also welcomes donations of appreciated securities, bequests in wills, and being named as a beneficiary on insurance policies, IRAs, 401(k)s and retirement plans. See the Montague Society for details. 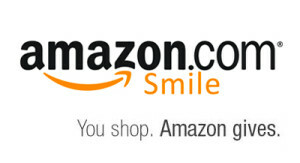 You also may help our Foundation by shopping at Amazon.com – their ‘Smile’ program donates a small percentage of all sales to our link. It costs you nothing and helps continue our mission. Click on the Amazon logo above. Some of the many organizations and charities that have benefited from The Lambs Foundation include: The Actors Fund of America, The Episcopal Actors’ Guild, The Vineyard Theater, The Pearl Theater, The York Theater, The Theater Hall of Fame, The Oberon Theater Ensemble, The SAG-AFTRA Foundation’s NY Actors Center, the GI Film Festival, The Utopia Opera Company, En Garde Arts and Women in the Arts and Media Coalition. A full list of beneficiaries may be found HERE. Your generous contribution is greatly appreciated. 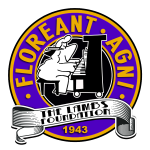 Join our email list for information on events that benefit The Lambs Foundation.